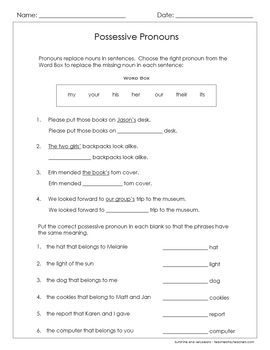 This set of 3 worksheets provides practice in replacing nouns with the appropriate pronouns. 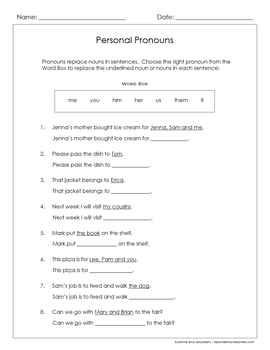 Students choose the right pronouns from the Word Box and fill in the blanks. 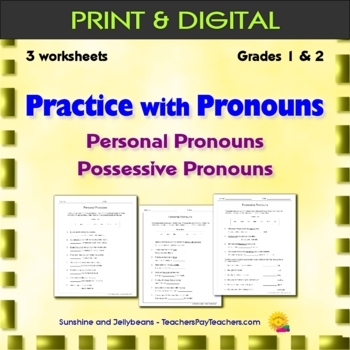 Includes two worksheets on using Personal Pronouns (one with subject pronouns and one with object pronouns), and one worksheet on using Possessive pronouns. These worksheets use simple sentences for First and Second graders. 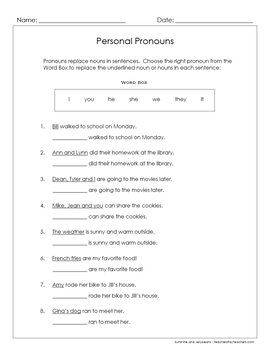 Great for students just learning pronouns or for review and practice. Perfect for either in-class or take-home work.